Our Headstart is officially ending at midnight tonight, ushering in Early Access as thousands of you have already made Aria your home. Our servers are growing daily; we’d like to thank everyone who has taken part thus far and welcome all who are joining us. Each and every time we reach a new and challenging milestone your support blows us away and glues us to our seats. We have an important announcement today detailing our decision to delay our release on the Steam platform until after the new year. We’d also like to share some useful information in this update regarding what we’ve been working on, the status of some of the technical issues we faced during this headstart and what we’re focusing on next. There’s been a lot of speculation about issues experienced during Headstart so we’d like to shed some light on what has been going on behind the scenes. The good news is that our population has exploded since going live and that our servers have been running (largely) stable. They have performed valiantly and are running well above capacity. All the early indicators with respect to how the servers have scaled to meet these demands have been very well met. We experienced some substantial annihilation of our login servers earlier in the week, but this problem has now been solved and we’re in a good position with respect to these aspects of our server performance. The bad news is that we’ve been dealing with a substantial but manageable problem with our data synchronization. The worse news is that this problem up until now was greatly exacerbated by server shutdowns and has greatly hindered our ability to patch the live server. Furthermore, as this is a synchronization issue, problems which can arise from such de-syncs can be random and wide reaching. Whilst we have safely managed to navigate these issues and are close to resolving them, it is fair to say that the containment, solution and servicing of these problems has consumed our small team. We’d like to reassure everyone that despite this, we’re working diligently to solve these issues once and for all with as minimal impact as possible on the live service. We need time to ramp up. We are actively expanding our customer service and development team to meet both this weeks growth and the growth we anticipated when we bring Legends of Aria to Steam. We need time to internally and publicly test our fixes for data synchronization. We will not take an unstable product to Steam, even if it is in Early Access. We need a break. Our team has been captured in a frenzy, our core programmers working at least 12 hours a day 7 days a week. This isn’t mentioned for sympathy, but if we don’t slow down then we’ll start dropping out of our seats (and there’s not that many of us). This launch has been a huge milestone for us, our user count is growing every day and this is the opportunity for us to grow with our user base. Up until this week all preparations had been made, our client has been accepted by Steam and we’re in a position to push the button. We’ll push that button when we’re ready; we’re looking at a date shortly after the holidays. Legends of Aria is live in Early Access and is available to purchase from www.legendsofaria.com/purchase. Founders Pack sales will end midnight tonight (EST), replaced by a Digital Edition of Legends of Aria purchasable for $30. We appreciate that many of you wish to further support us through larger purchases; the feeling is mutual and we will be increasing opportunities to do so soon™. Our team is already hard at work destroying this synchronization problem and returning the live servers’ stability. We expect to have the data synchronization issue patched out in the next week or two along with a host of fixes for other peripheral issues and gameplay patches. As our servers grow; so do our operations. To ensure that we’re ready to accommodate this growing population, additional servers must be prepared along with what it takes to manage nearly half a dozen worlds (possibly more!). Our customer service team is seeing light at the end of the ticket tunnel and we will be implementing new Customer Service tools this week in addition to introducing some new in-game GM’s to increase player support. We are an independent studio founded on Kickstarter revenue. Decisions are not made on behalf of board members, investors or publishers. We have budgeted wisely over the years to ensure that we’re not making decisions out of financial necessity, but solely in the interest of the game and it’s community. We’ve no interest in making a quick profit; each and every sale goes back into LoA and our strategy from the beginning has been to grow our title to organically meet it’s ever expanding audience. Steam is an enormous milestone, but we have no interest in rushing our game to Steam unless we know we’re in a position to succeed. We could chance it, apply our fixes and be on Steam on time, but every success we’ve had thus far has been a result of making the difficult decision to be patient & prepared. We’re going to take a little longer. Based on the success of the last 7 days and the lessons learnt about bringing our systems to a much wider audience, we’re confident that when Steam comes around, we’re going to knock it out of the park. Thanks for the update guys! Really appreciate what you are doing! I respect your decisions, few companies would do that nowadays! Much respect to the Citidal team on taking the right approach to this. It will truly pay off in the end. I feel like other gaming studios rush into it to meet a deadline when they should release when they feel comfortable. I understand publisher/shareholder pressure but it makes the most strategic sense instead of releasing a product that is not ready and spending the next couple of years flipping between DEFCON 1 and 2 while playing catch-up. Not only does releasing a product to Steam that isn’t ready, it also has the potential of garnering negative reviews/experiences which will also be accompanied by refunds. Why do you need steam? Their current version runs perfectly fine without the Steam overlay? You can add the Steam overlay manually if you want, just no achievements are earned. Good riddance Mr. Negative, your not the type of person we need in the community anyhow. Now go play your instant gratification games. This comment makes zero sense. You are better off buying direct from the site anyhow since they aren’t losing a % of the sales to Valve. Buying direct gives them even more support. And like Justin said, you can link them up anyways, you are just going to miss out on achievements…. Derek and Team Thank you for the fantastic update and all the hard work going into bringing these worlds to light for us. 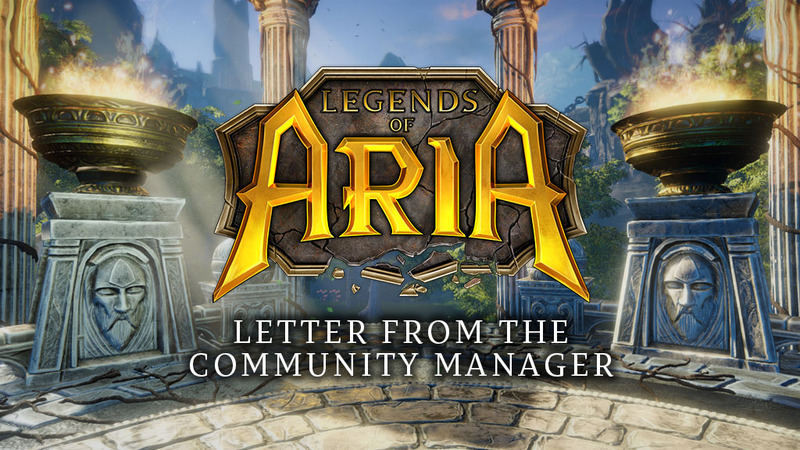 Here’s to many successful years in as we all create legends in the lands of Aria. So if I’m reading this correctly am I to assume all servers will be down until 1/1/19? The servers are up from now until eternity! Thank you for making the decision to delay the game. As a Helper on the Official Discord, it brings me great joy to know that the game is being worked on and that you aren’t taking any lethal compromises to get there. Thank you Citadel. Love this game and you make it feel good to be a backer of such an exceptional product. I have one small request, please get the hunger/cooking system going when you feel it is ready. I GMed fishing and working on cooking. The problem is no one buys the fish because the hunger system isn’t implemented yet. Taxes are due soon for my plot and I am broke and starting to worry. Well said! I can respect your reasons for delaying the game and hope you stay true to these ideals in the future. Best of luck to you all! If you stop selling game, how can those who have been waiting for the release of the game in Steam, can to play it? Did not quite understand, I apologize. We are ending the sale of Founders Packs. Standard Digital Copies of the game will be available in the next day or so. Great decision to not release yet. Take the time to fix things right, and get a small holiday break as well. I wish you all the best, and am glad you made the hard choice of waiting instead of potentially souring the release with negative press/reviews from potential issues with the influx it’ll likely have. Me and my wife – we met each other – 17 years back on Ultima Online server. I was an admin responsible for quests, she was a guildmaster. We met each other and marry and get a fantastic son. We never found any MMO which could replace UO in our hearts. Most of MMO are simply “dumb wow clones”. Today we was talking about good old ultima days – looking for our common old memories – and we accidently hit your page. LoA is the first one after 17 years which brings UO memories back not with “sadness of good MMO time is over” – but with .. expectations. I bought early acces. Showed it to my wife. She did not hesitate for long and bought her copy right away. No, LoA cannot replace UO, as no other love can replace The First One. But it can be something very nice and very different from recent mainstream in genre. Thank you guys for fantastic todays evening, when two old gamers was able to return back to their much younger years. We really enjoyed it. And we are looking forward to our next adventures and to exploration of your beautiful world! Take all time you need, no rush. You are doing really well. I second this. This is a really lovely account of how the U.O community was, I played at the ripe age of 10 on my parents account, played ever since and i’m 27 years old now. My Brother even played U.O, we got our Step-Brother into it for a few years when was a teenager. It was SUCH a great journey with U.O, always going to be my game of choice. Legends of Aria I hope will give me the same memories. I’ve been playing it over the past few days and I do really like it. Obviously the few bugs are irritating but it is new, so to be expected. Good choice to hold off until you can release with a more refined product. I have seen so many games release too soon on Steam and they are never able to recover. The team has done an amazing job so far, Take your time to do this right. I’ve spent many hours in game and I know from my experience that this is the one game I will be playing for MANY years to come! The only thing that would bother me at this point is a wipe of any kind. Thank you for all the hard work. Happy Holidays to the Citadel Team! Right so, quality secures game paents.Hope your funding is good, I want to have something of the game for a very long time, for 20 years I have been waiting for such a game-take.Take monthly fees, I’m there! Will it be on sale today? I just bought the game yesterday, thanks for this gem ! I don’t care that you have to delay the steam launch, your company really makes me think of the old good companies that we used to have; where they don’t rush games for $$ and drop the project. Polish your game and come back to us with a great steam launch! Personally I believe you guys are doing great. I have UO roots as well and think you are doing a fine job at scratching that 20 year old itch. Thanks for keeping us updated and can only imagine the difficulty addressing everything with such a small team. I do not feel you guys mentioned anything for sympathy. It shows you are people and I for one appreciate all your hard work bringing a game like this to the table. So far it’s been a joy play and a reminder of how much fun UO was. It has its hiccups but I do not doubt your team will persevere and serve us with a well polished product in due time.